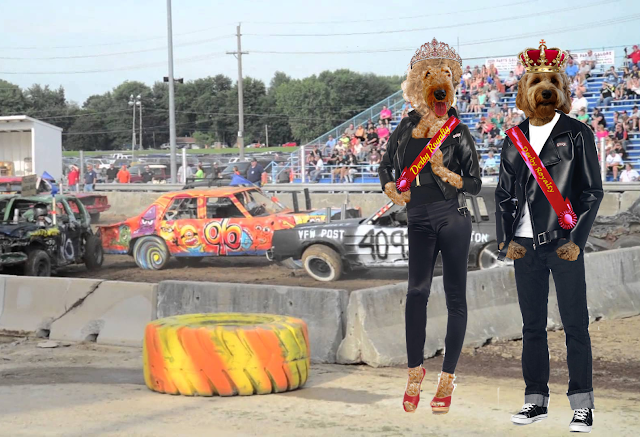 Ruby the Airedale: Demolition Derby! See you under the stars tonight - MWAH! We just came from the Derby. It was so exciting. We've had some Baconator burgers from Ziggy's and we're ready for a nap. So exhausting. How about a strawberry one! You and Murphy are just too cool for school. Way to go! Uh oh....Mama is going for the Grease DVD again, we say you and Murphy look WAY better than John and Olivia!! I think I needs a QUEEN-sized margarita. Sorry, had to rub it in, BOL! We got no Internet powers been out all day. OMD! It is a good thing that Murphy is my Dood, or I would be after you in that outfit! ARRRROOOOO! 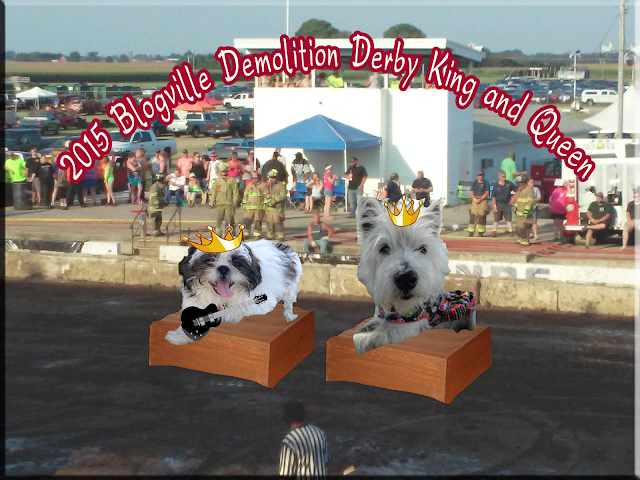 Congrats to Whitley & Ziggy. We will be looking for you. We need some margaritas over here ;) I'm sorry you didn't win. I couldn't bring myself to vote because I liked everyone - they're all my beautiful friends!!! But, I'm glad for Ziggy because he's new here in Blogville. I hope he feels super welcome :) Now, I'm going to find you and your margarita truck! I am having a ball of fun, and I am going to go find that food truck too! Wow, we missed all the good stuff. Heading over to the food truck to see if there are any tasty morsels left! You and Murphy look fabbers, Ruby! You two are the greatest couple! 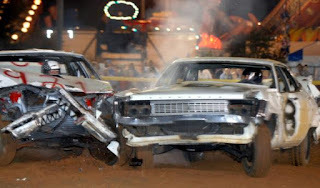 You all sure had fun at the derby. You and Murphy looked great in your leather outfits.